I'm a Profesional Double Bass Player and Tutor, I play mainly Classical Music as well as Tango and Latin styles as I Inherited that from my home country. I have been performing for more than 30 years already and I have been teaching in London for 15 years privately and at schools. 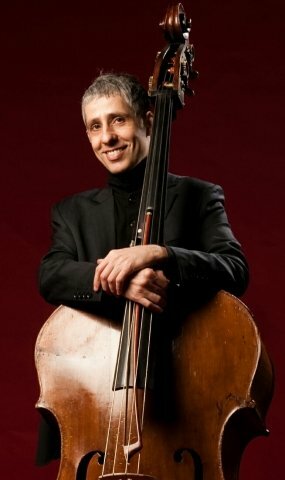 I teach Double Bass Technique and a wide repertoire open to students interests. I love my work specially when I find enthusiastic people willing to learn music. My style for teaching is direct and well focused on the aims of the students and at the same time I try to create a friendly and relax atmosphere during the lessons. Jan 2008 - present: Amadeus Orchestra, Helios Chamber Orchestra. 2005 - 2006: Teaching double bass at Morley College (CYM). 2005-2006: The Young Janacek Philharmonic, London. 2003-2005: Principal Double Bass with Trinity College of Music String Ensemble, Symphony Orchestra and Contemporary Music Group. 2001-present: Playing solo and orchestral repertoire. 1998-2001: Playing with the Symphony Orchestra of the State in Buenos Aires. 1996-1998: Teaching at Beethoven Academy of Music (Buenos Aires). 1990-1996: Playing with the Symphony Orchestra of Bahia Blanca (Argentina). I try to approach my lessons through the interests and aims of the student, I try to be dynamic and well focus to keep the interest of the student always at maximum. I aim to make my students performers at the highest possible level and always be very encouraging with them. My lessons are always a bit longer than an hour. EnriqueFrom Stephen (5/5): Dedicated, committed - excellent teacher! Reply from: Enrique: Thank you Stephen. My pleasure to come to teach your son Zap. EnriqueFrom Indrani (4/5): We have only had a few lessons with Enrique but my son seems to be enjoying them immensely. Enrique is patient and is very encouraging.